The squeaking of squirrels, whistling of blackbirds and cooing of doves would greet you in the Bharatpur Bird Sanctuary. This is a paradise for the ornithologists, welcoming not only the nature lovers, but common men as well, away from the din of city life. While you take pleasure in the beautiful birds, take ample care to keep yourself fit and fine. Your complete responsibility is handled by the Shanti Kutir Hotel, which offers comfortable accommodation amidst a calm ambiance. The culinary delights consist of Indian, Chinese and Continental dishes that come in affordable prices. You can have your lunch amidst the calm atmosphere and indulge in some exquisite local dishes. The travel desk ensures you visit the nearby places, where you can see numerous beautiful forts and palaces reflecting the marvels of the Rajput and Mughal architectural skills. There is also a Bird Sanctuary that gives you options of bird watching. 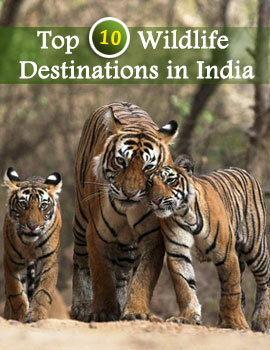 Take the help of IndianHoliday and have a gala time with the innate denizens of nature.